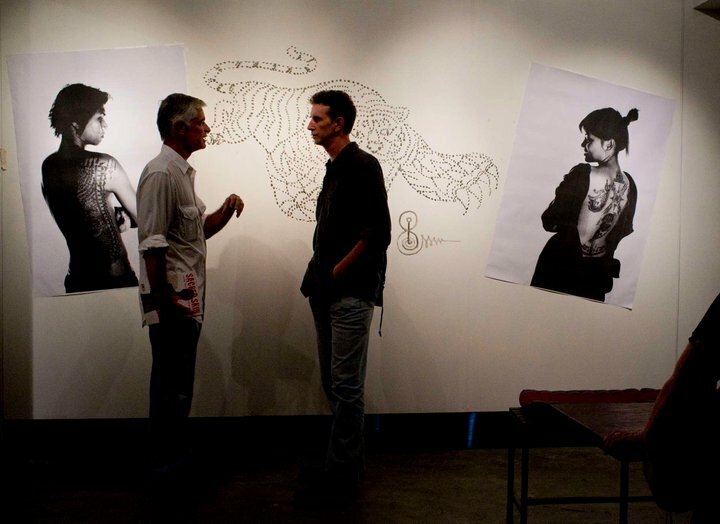 Photographers Jim Nachtwey and Nic Dunlop on June 28th at The Space in Bangkok, Thailand, at the opening night for Sacred Skin, my new book, with photographer Aroon Thaewchatturat, on Thailand’s sacred tattoos. The Yant Sua (Tiger Yant) was drawn by Aroon Thaewchatturat and Yvan Cohen. And chef Christao describes the evening from a culinary perspective. For more info on Sacred Skin, check out the book’s website. Or check out the book’s review in TIME Magazine!